The Trans-Pecos is one of my favorite regions in Texas. I love the vast open spaces of the Chihuahuan Desert and the small towns that cling to life there. 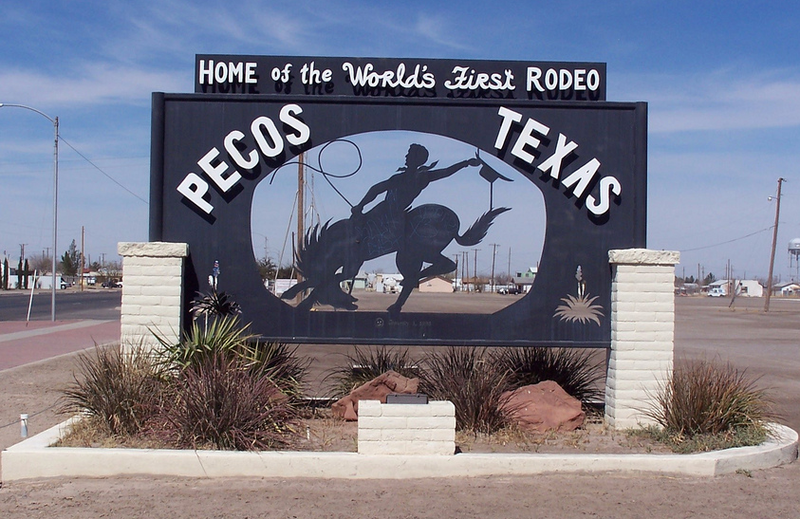 I like the town of Pecos — probably because I have always been a fan of Pecos Bill, the mythical cowboy who inspired some fascinating tall tales among range hands. Pecos is the site of the world’s first rodeo, held there in 1883 to showcase the skills of cowboys from three of the area ranches. 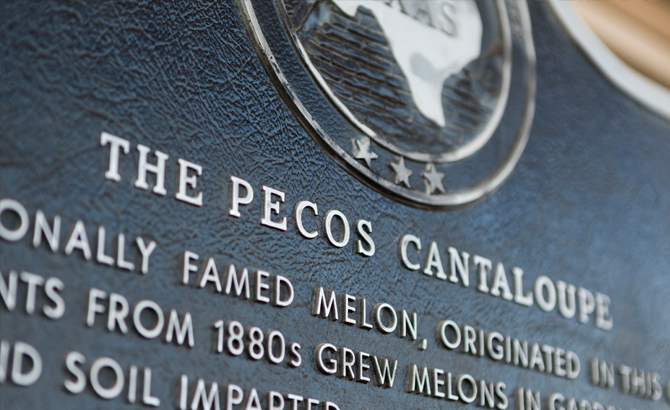 Pecos is also known for its flavor-rich cantaloupe which have been grown in the area since the late nineteenth century. The Pecos-grown fruit was a favorite of Helen Keller, President Eisenhower, and President Johnson. While on a recent road trip to Guadalupe Mountains National Park, my wife and I drove the backroads toward Interstate 10. Our route took us through Pecos, located at the intersection Interstate 20 and Highway 285 just west of the Pecos River. Hungry for a burger after a morning of hiking, we stopped to eat at the All American Bar and Grill. 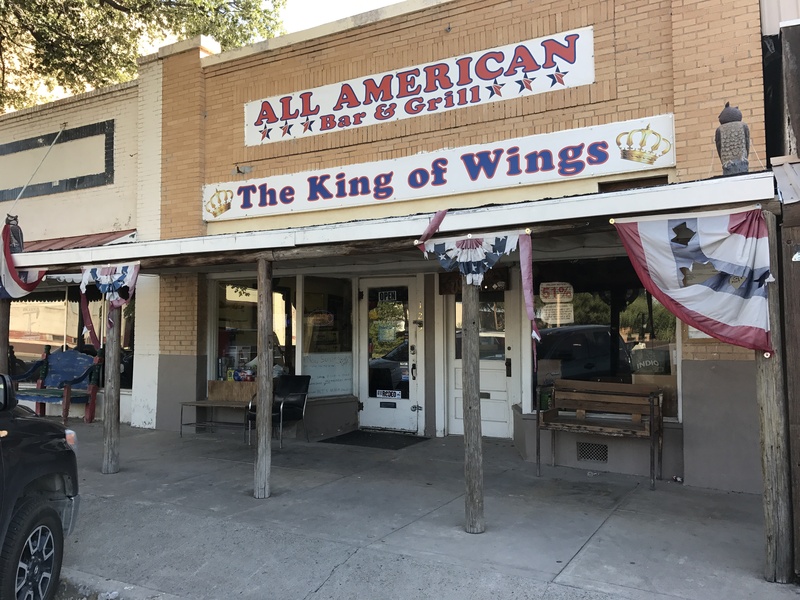 This small town eatery fits the description of a dive, which is what made it appealing to us. When we walked in the first thing we noticed was that the place is decorated in what I can only describe as an “Early Garage Sale / Storage Room” motif. While it was not entirely off-putting, it was a bit odd. Nevertheless, we were there for the burgers and not the decor. I ordered my usual bacon cheeseburger plus a side of hand-cut fries and a tall glass of iced tea. The burger and fries arrived piping hot and ready to eat. The burger had a healthy helping of meat resting on some really fresh lettuce, tomato, and crispy bacon. As for my first bite — really good. Everything in this burger worked well together to deliver on flavor. The fries were also delicious. Finding places that serve hand-cut fries is not always easy. Not may places go to the trouble of cutting and preparing their own fries. So, I was thankful for the generous helping of fries and the full squeeze bottle of ketchup. I savored every bite. 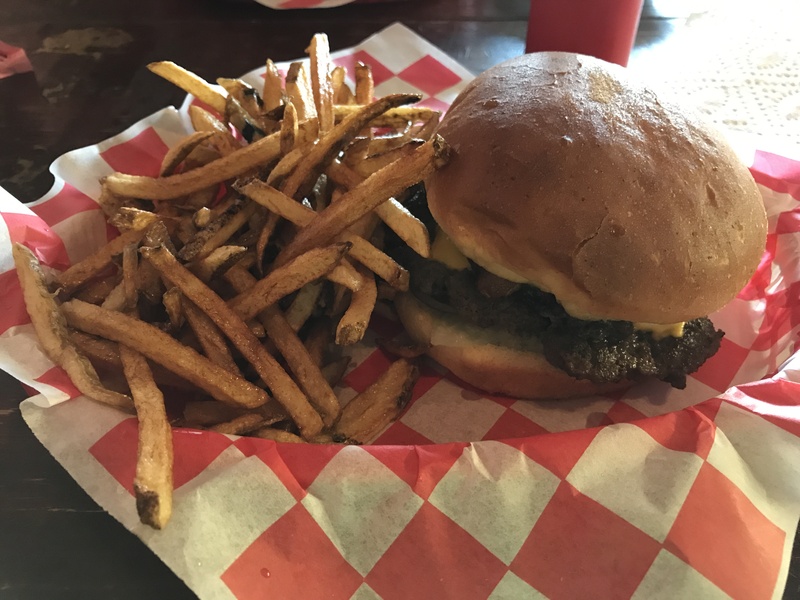 All things considered, I enjoyed my burger and fries at the All American Bar and Grill. The next time you are on the road, make lunch more adventurous by driving past the fast food places and finding a burger dive. 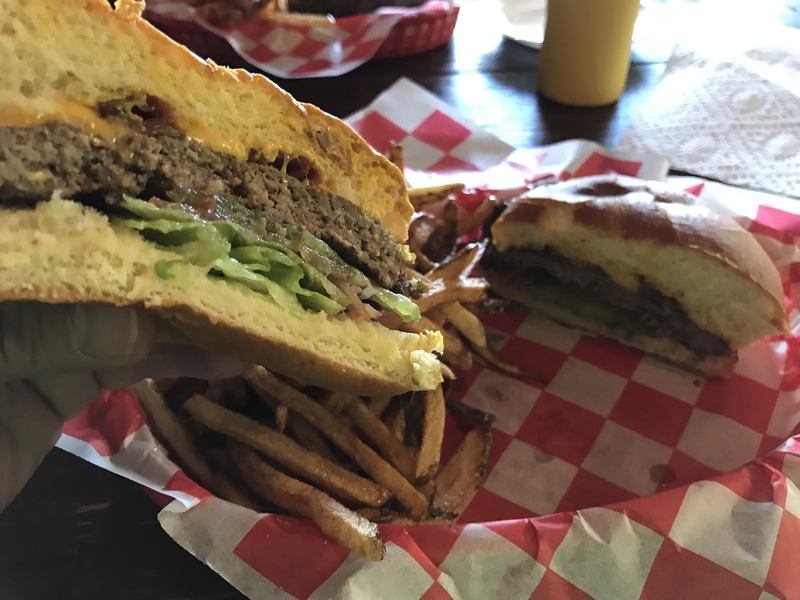 There are so many great places to eat burgers in Texas, I only wish I had more time — and more metabolism. Let me know if you come across a good burger joint and I will add it to my list of places to eat the next time I hit the road.